August 26, 2011 — Foot Levelers donated more than $20,000 from its 2011 Spring License-Renewal Seminar Series. Participants were able to see top experts in chiropractic and support their college at the same time. 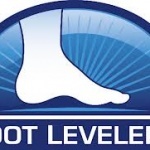 Foot Levelers sponsored 12 speakers at numerous chiropractic seminars and events. As part of Foot Levelers’ commitment to the advancement of chiropractic, the license-renewal seminar series is a vehicle for continuous giving to the profession. To register for one of Foot Levelers’ 2011 Fall License-Renewal Seminars or for more information, call 800-553-4860, or visit www.footlevelers.com.